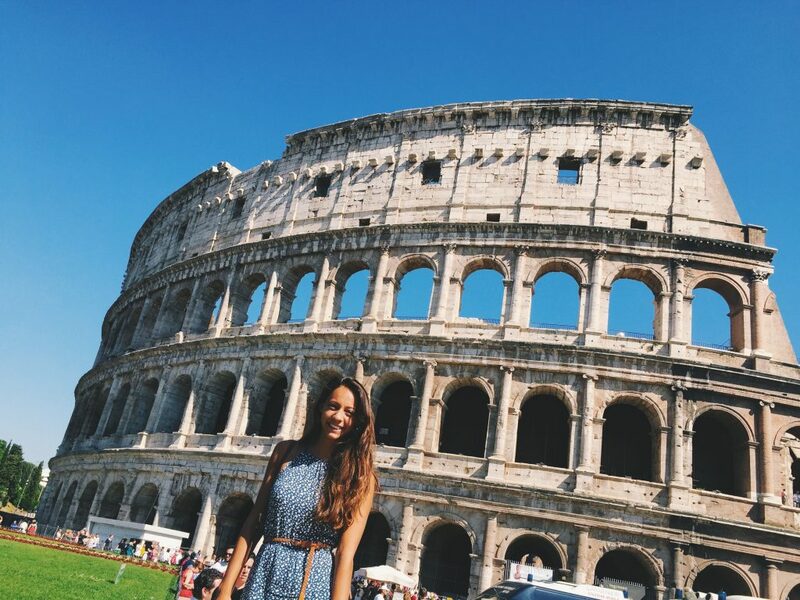 So you have only 24 hours in Rome, is it really enough time to visit one of the world’s major tourist destinations? Don’t worry! 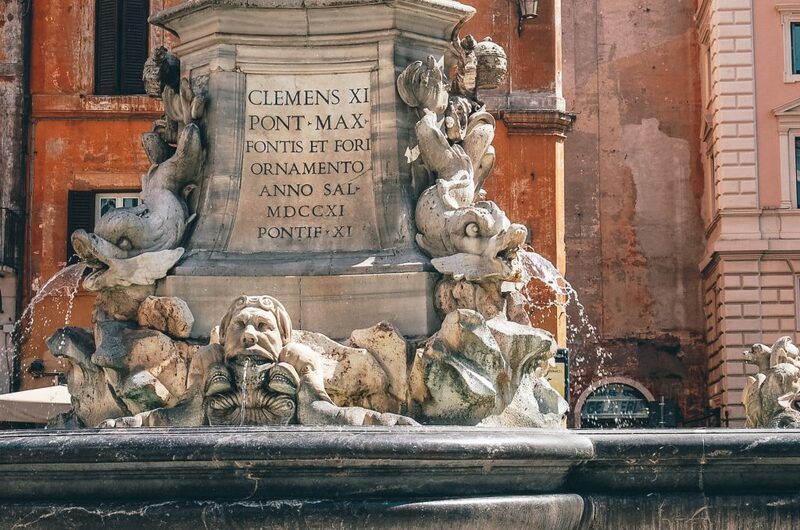 This guide for 24 hours in Rome will outline everything that you need to see and do during your short trip! 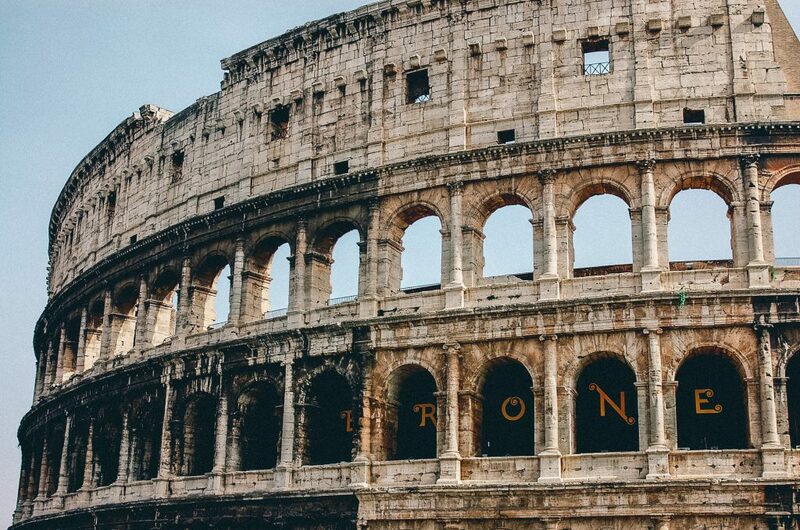 Since you only have a limited amount of time in Rome, you are going to want to stay somewhere super central! My first recommendation would be to choose a hotel close by to the Pantheon. This is going to set you up to be right in the heart of Rome! 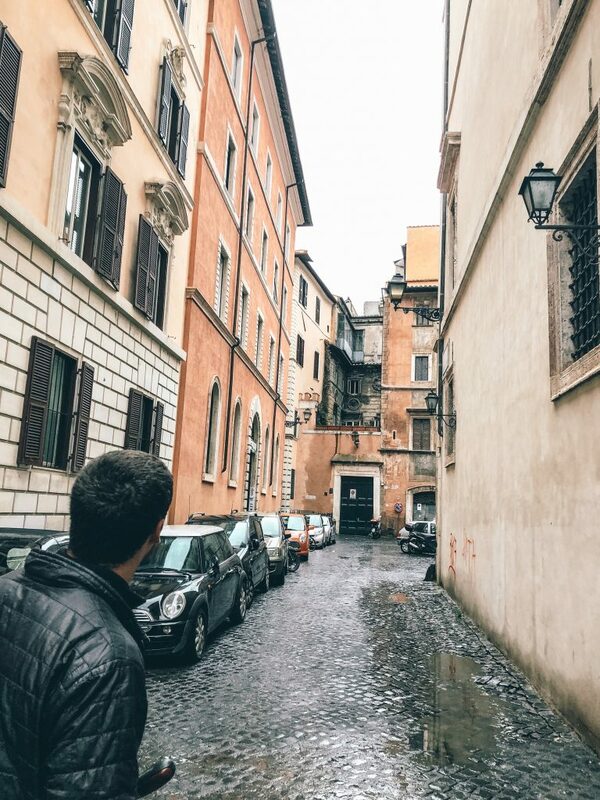 However, if you are on a budget and looking for something a bit cheaper, then I recommend looking into places in Trastevere or close by to Termini. 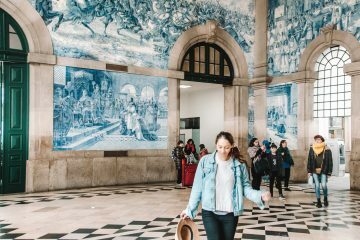 While the area surrounding the Termini station is not the most beautiful, it will set you up nicely for an early train or bus departure! 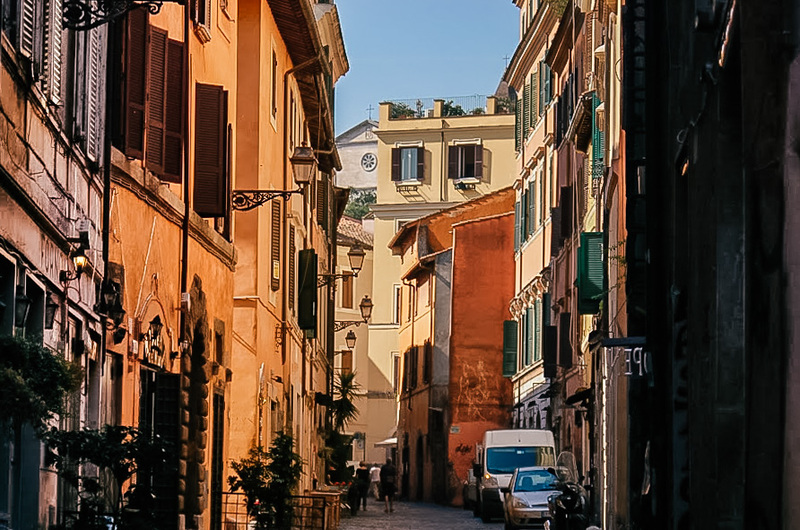 Trastevere is perfect for anyone looking to grab that sunrise shot in the morning, as it will be a shorter walk in the early morning hours! Now I understand that for most people vacations are supposed to be about relaxing and sleeping in, however if you only have a limited amount of time in Rome then I recommend taking advantage of every minute of it – including sunrise! Make sure to check the daily sunrise time for you exact dates so that you don’t miss it! The Terrazza del Gianicolo is one of the best spots in Rome to catch a gorgeous sunrise! Located just uphill of Trastevere, this short hike up with reward you will sprawling panoramic views of the city below! Whether this is your first stop of the day, or you were awake enough to brave the sunrise hike, a little bit of caffeine is definitely in order! Located in a small piazza just behind the Pantheon, this coffee shop is as Italian as it gets! Head to the counter to order your morning espresso, and make sure to stay put right there! You will be charged an extra fee for drinking at one of the few tables, so do as the Romans do and drink your morning brew right at the counter! Now that you’ve had your morning caffeine fix, it’s time to start walking – remember, you only have 24 hours in Rome! 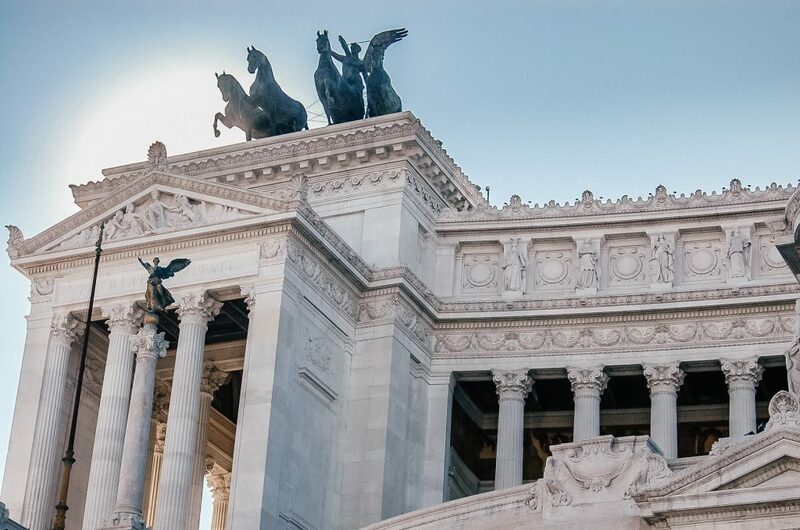 While en-route to the Colosseum, you will pass by one of Rome’s most impressive piazzas, Piazza Venezia. You should be able to reach this piazza in about 10 minutes walking from Sant’ Eustachio. 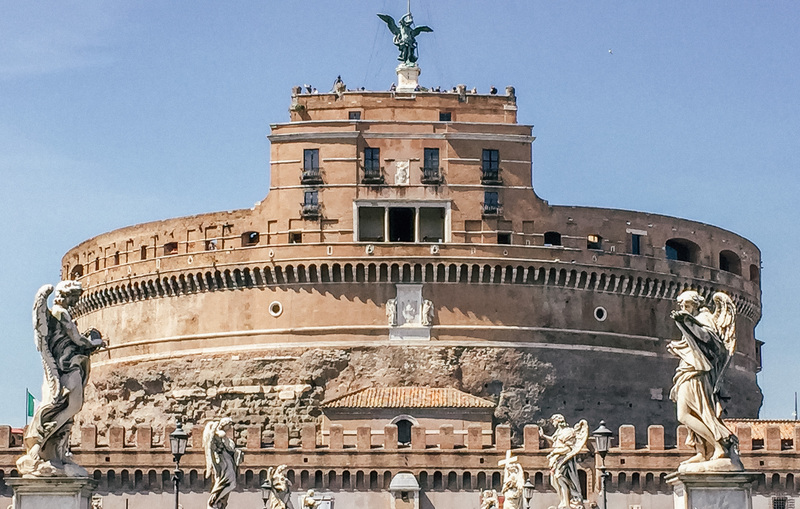 Featuring a monument for King Vittorio Emmanuele, this spot is a must-see! It is absolutely free to stop by and take some shots from the outside steps, however if you would like to enter the tickets cost 10 euros. Since you are limited on time I would recommend skipping the interior for this trip! Just another reason to come back to Rome again! Keep walking about 10 minutes down the road to hit the Colosseum, you won’ t be able to miss it! You should aim to arrive between 8:30 and 9:00am, as the crowds won’t be nearly as bad! Many chose to simply admire this incredible structure from the outside, however it is definitely worth a visit inside. If you are interested in entering the Colosseum then you should purchase and PRINT your tickets ahead of time! This will save you tons of time on the day of. Combined Colosseum and Roman Forum tickets cost 12 euros (with a 2 euro fee for booking a reservation ahead). After you’ve had your fill of the Colosseum, you can head over to the Roman Forum to check out the ruins. Your ticket permits a one time entry into each site. Time for some more walking (preemptively burning off all of the calories from the gelatos you will definitely be eating)! It will take you approximately 30 minutes to reach Piazza Navona from the Roman Forum. Feet feeling a bit tired already? There is a bus that connects the two locations in under 15 minutes.Just make sure that you validate your bus ticket, otherwise you could end up with quite a hefty fine! There are also Ubers readily available in the area. Piazza Navona is one of my favorite areas in Rome! From morning until night this spot is bustling with tourists and locals alike! I used to walk through here every day to and from class, stopping to listen to street performers or to grab a gelato. Check out Cantina e Cucina for a delicious, reasonably priced lunch to fill you up for the afternoon ahead! 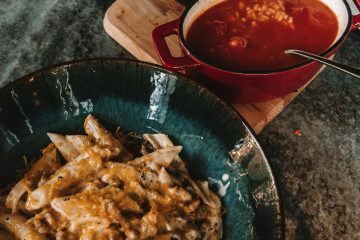 Eating on the earlier side will not only allow you to beat some of the lunch rush, but also it will give you time to squeeze in some extra Italian food! After lunch head back over towards the Pantheon. The center fountain is an excellent place to sit and people watch, as well as a great place to enjoy your dessert. 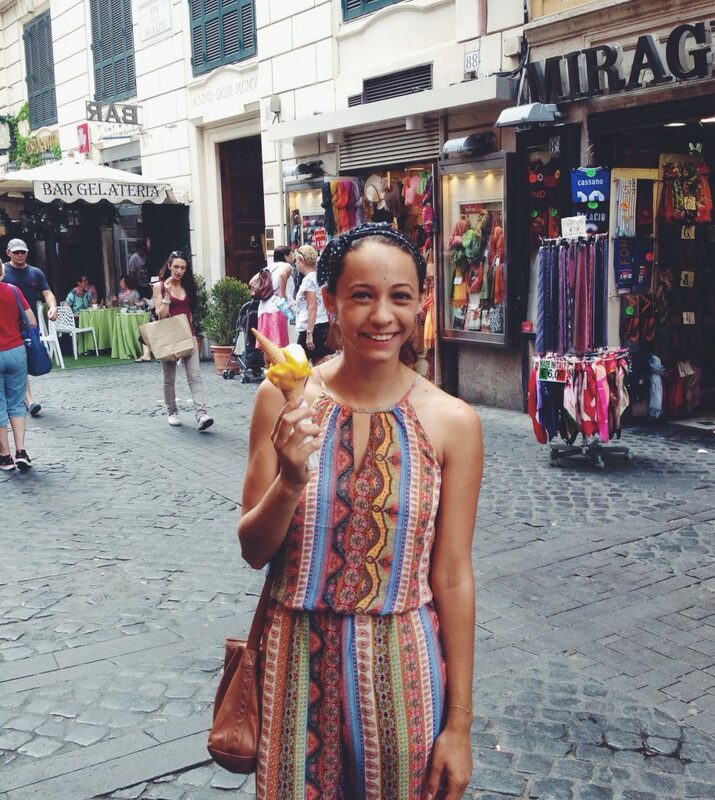 You’ll find a number of nearby gelato shops (because you can’t visit Rome without eating gelato)! 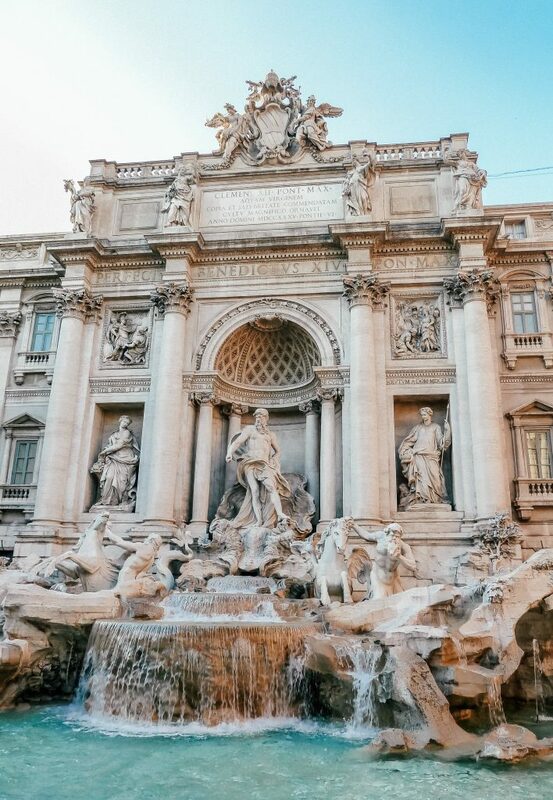 Now that you’re tummy is full of delicious pizza, pasta, and gelato (otherwise known as my Italy diet), it’s time to head to another one of Rome’s iconic spots: the Trevi Fountain! Wander the quaint, cobble street roads about 8 minutes down the road from the Pantheon to the Trevi Fountain. No visit to Rome is complete without a stop at this incredible masterpiece. 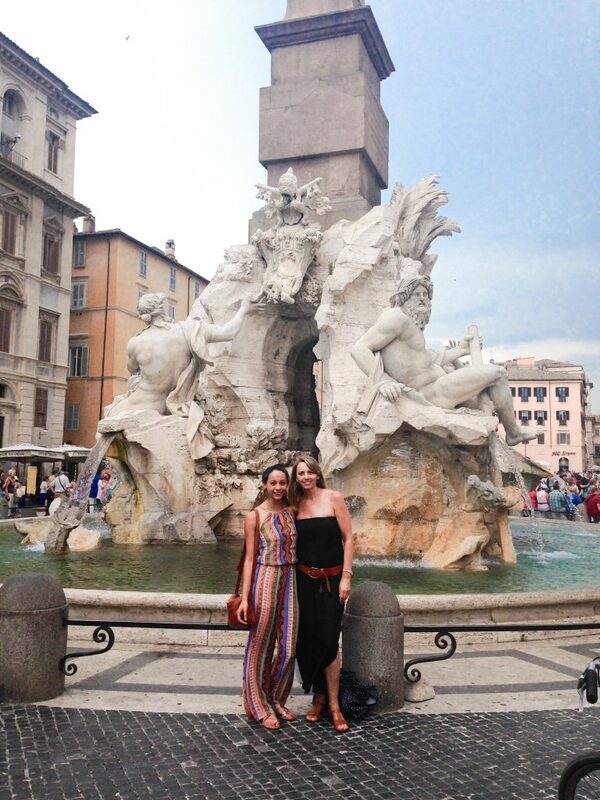 Make sure to throw a coin over your shoulder and into the fountain for good luck (Lizzie McGuire style)! Just another 10 minutes walking and you’ll arrive at the Spanish Steps. 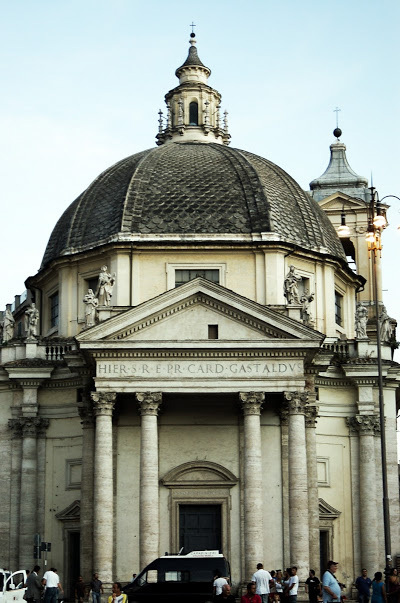 With Trinita dei Monti church located atop the 135 steps, this is another great spot to take in the action. 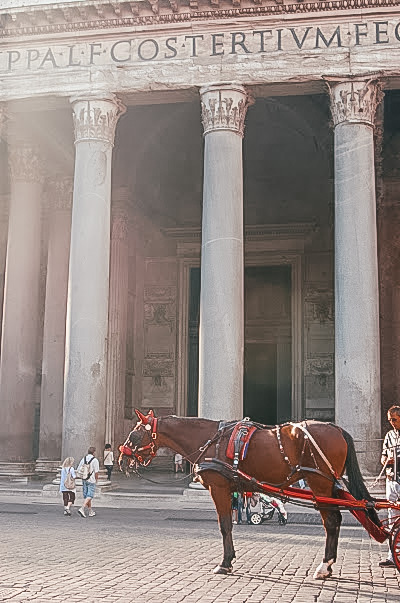 You will most likely recognize this area from it’s feature in many classic films, such as Roman Holiday with Audrey Hepburn. After a few minutes of taking in the action (and getting some golden shots) at the Spanish steps, head uphill towards Villa Borghese. This will give you a bit of peace and greenery, perhaps even some time to rest your feet! Now, if you are like me then you’re probably already looking for another meal. If so, Villa Borghese is the perfect place for an afternoon picnic. Pick up some snacks or panini makings on the way up! 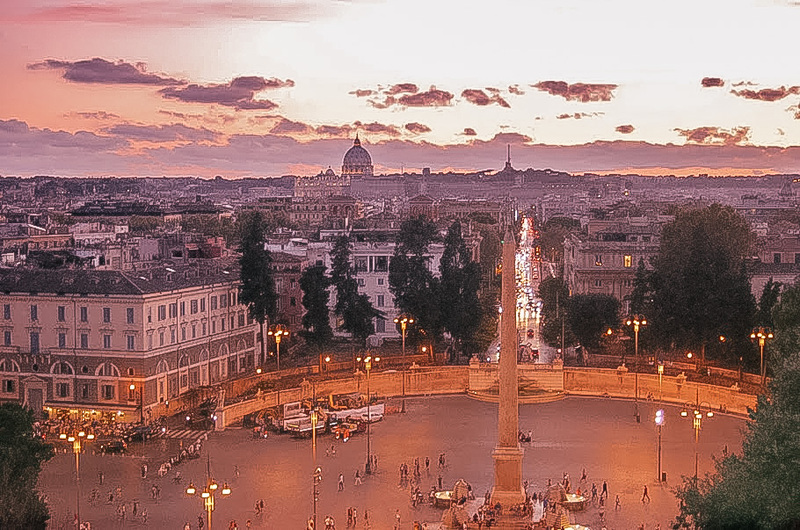 Make your way out of Villa Borghese towards Piazza del Popolo. If you have more time in Rome then I highly recommend checking out a concert at All Saints Church. The church hosts (almost) daily evening concerts at 20:80 for only 20 euros. The performers are absolutely incredible and the space provides an intimate setting for the concert. The Roman Emperor Hadrian originally had this castle commissioned as a mausoleum for him and his family. 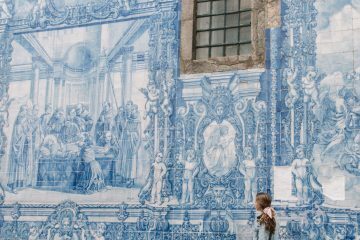 Today it serves as a museum and gorgeous work of architecture for the public instead. With only 24 hours in Rome, I don’t think that it’s necessary to do a full tour of the castle, however, if you have the time then it is definitely worth at least checking out. If this spot is on your must-see bucket list then you can buy entry tickets for 14 euros. Add an extra 5 euros on to this and you can book the Secret Castle Tour. While I haven’t checked it out myself, I’ve heard excellent things! 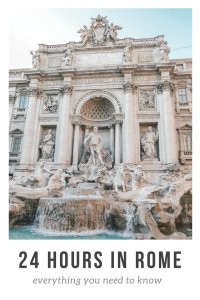 There are so many incredible food options in Rome that it was so hard for me to settle on just one restaurant to recommend! Campo dei Fiori has plenty of awesome options for dinner and apperitvos. You can also head over to Trastevere or the Jewish Quarter and check out the many dining options there. I usually like to check out an appertivo (drink with small buffet included) and then move to a more sit down formal dinner. I mean, if you only have 24 hours in Rome then you might as well eat as much as possible! 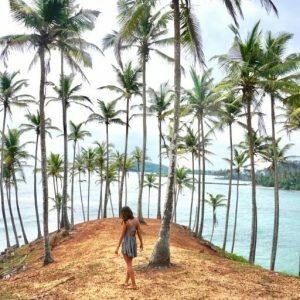 I have listed some of my favorite spots below! Located just down the road from Campo dei Fiori, this restaurant is your go-to for authentic fried Italian baccala (fish). Except to be served delicious, greasy fish that you eat with your hands, washed down with a liter of house wine! This restaurant is cash only! Located just outside of Campo dei Fiori in the Jewish Quarter, Nonna Betta is a classy, kosher Italian restaurant. They offer a tasting menu for 35 euros a person that includes an appetizer, first plate, second plate, dessert, and coffee. The cacio e pepe here is some of the best that I’ve ever tried! Located right next to Piazza Trilussa in Trastevere, this is a great option for an evening apperitivo! The drinks and tasty and the buffet is plentiful! Time to explore Rome’s nightlife in one of Rome’s grungier neighborhood, Trastevere! 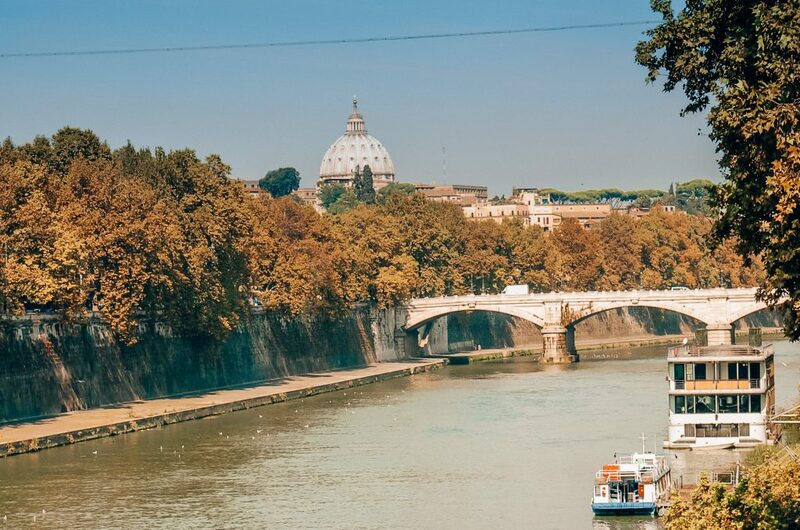 Head over Ponte Sisto and make your way towards Piazza Trilussa. You’ll find plenty of students and young adults lining the steps here sipping beers from plastic cups. Check out one of my favorite book shops for a sweet treat. Cioccolate e Libro serves shots in chocolate shot glasses. With hazelnut liquors, whipped cream, and nutty toppings, these taste more like a dessert than an alcoholic beverage! 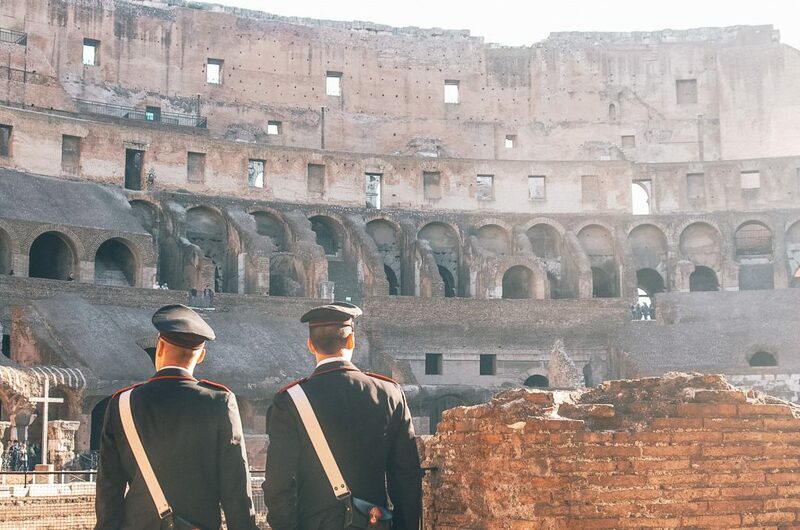 Now that you’ve finished reading all about all of the wonderful adventures that you can squeeze into 24 hours in Rome you’re probably wondering what to do if you have more time! I highly recommend a day trip to Tivoli! You can read the full guide here! First of all, Amazing pictures captured!! Secondly the perfect timeline. This is gonna be my ultimate travel checklist in Rome.